Simple? Yes. Stunning? You better believe it! 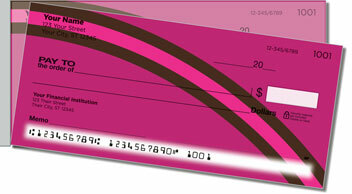 This set of basic personal checks makes a bold statement. The shortest distance between two points may be a straight line, but the scenic route is always much more colorful! 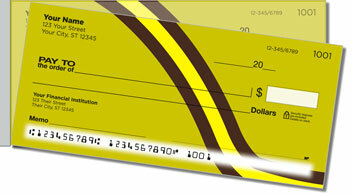 Each of these checks features a stripe that takes its own unique path. It's a celebration of individualism! 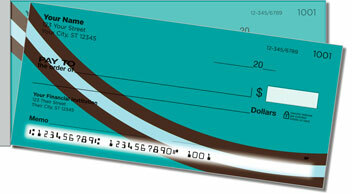 Curved Line Personal Checks from CheckAdvantage combine exciting energy with a clean-cut look. 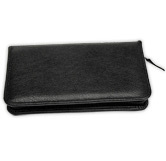 You'll also find that the side-tear option makes it easier to pull checks from your checkbook without ripping and wrinkling. 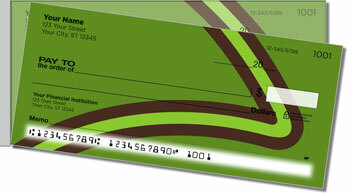 Get your own Curved Line Personal Checks right now. They're also available in matching return address labels.